A numeric score based on the home's envelope (foundation, roof, walls, insulation and windows) and heating, cooling and hot-water systems. A total energy use estimate, as well as estimates by fuel type, assuming standard operating conditions and occupant behavior. Recommendations for cost-effective improvements and associated annual cost savings estimates. The score is developed a one-to-10 scale, where a 10 represents the most efficient homes. It also comes with a detailed fact sheet of how the score was compiled and recommendations for how to make your home more efficient. 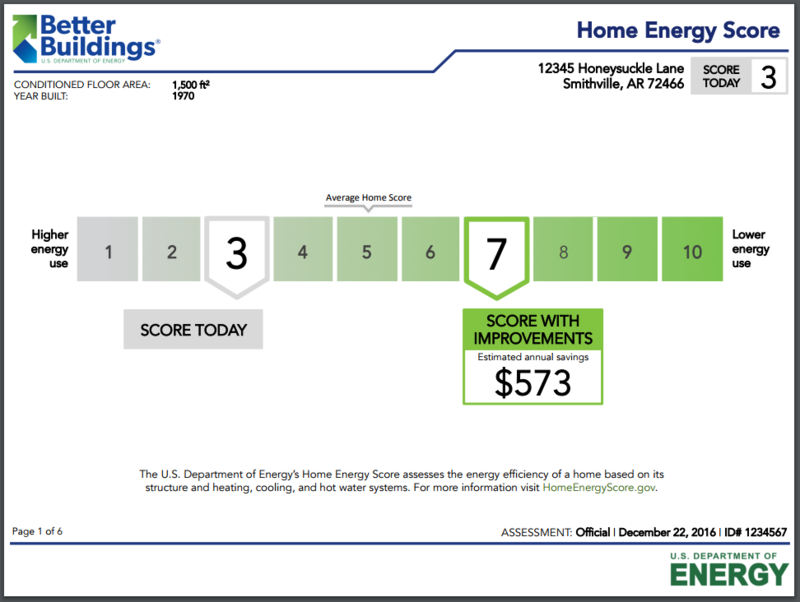 Beyond giving homeowners the information they need to make their home more energy-efficient and to save money, the Home Energy Score can also showcase the energy investments you've made in your home to make it more attractive to potential buyers in the future. Assessments can be completed in less than an hour in most homes, and you can find local assessors on DOE's website.